Beijing has taken stock of the visits to China by Palestinian President Mahmoud Abbas and Israeli Prime Minister Benjamin Netanyahu during the first 10 days of May in the context of its emerging strategic policy for getting involved in the Middle East peace process. Although no Israeli-Palestinian summit meeting took place, Beijing believes the unusual diplomatic situation “created a positive atmosphere for restarting the dialogue between the two sides.” As Wu Sike, China’s Special Envoy on the Middle East Issue, has said, all parties stated their position, and Chinese leaders confirmed China’s strategic interests in the Middle East and offered a program for the Arab-Israeli peace process and for Palestine’s coexistence with Israel. 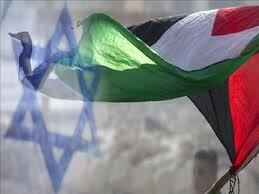 For their part, the representatives of Palestine and Israel expressed confidence in China. They spoke highly of their relations with China and expressed hope that China would take a more active part in the region’s affairs. I might mention that China became more active in the Middle East when the Arab Spring began. This is China’s third recent major initiative on the Middle East — Beijing twice offered plans on Syria in November 2012. China’s current moves follow a defined strategy, and they suggest that Beijing has reversed course from its wait-and-see stance on taking an active part in order to increase China’s role both in the region and internationally. Repeated statements by Beijing columnists that China’s new leaders are paying “particular attention” to the Middle East and primarily to the Arab-Israeli peace process are attracting attention. China has been saying that the relations between Palestine and Israel are the chief problem in Middle Eastern politics. In its efforts to get a “seat at the negotiating table,” however, Beijing is not currently pushing for involvement in the multilateral diplomacy mechanisms that exist in the Middle East; it considers them ineffective. While recognizing the dominant role played by the United States, China at the same time considers the US policy in the region a “failure” and does not want to join it, even in the framework of the Quartet of international mediators. Still, the Chinese are generally not inclined to remain apart from the international efforts and speak of wanting to coordinate their policies “with the other parties in the Middle East peace process.” Although China agrees with the plans advanced by the Arab and Western representatives, it apparently intends to continue acting independently and to concentrate its efforts on “removing obstacles” to peace negotiations. China points out that it proposed the concept of “removing obstacles” at a peace conference in Annapolis in November 2007. Chinese representatives also note that Beijing is willing to continue serving as an “indirect but effective channel for communications” between the leaders of Israel and Palestine. Beijing’s timing in becoming involved — following statements by Israeli and Palestinian leaders that they are interested in resuming negotiations — is very typical of them. Economic assistance is one of China’s most significant diplomatic efforts, especially helping Palestine solve a number of problems having to do with development and subsistence. The trade and economic agreements that Beijing signed during the meetings with Abbas and Netanyahu bear witness to that. China has long been overdue for full participation as a mediator in the Middle East peace process. Calls to expand the Middle East Quartet that was formed in 2002 and includes the United States, Russia, the EU and the UN to include China and India have been heard for several years at international meetings on the Middle East peace process in places like Baghdad, Malta and Annapolis. At a 2006 forum in Beijing, the foreign ministers of Israel — Yossi Beilin — and Palestine — Abdel Kader Hamed — supported including China among the recognized international mediators. It is noteworthy that such calls were motivated not solely by the need to acknowledge China’s growing importance as a global power, but also by dissatisfaction with Washington’s positions in the Middle East peace process, the United States’ transition from being a peacemaker to a war maker, and other factors. China explains its desire to become more involved in Middle Eastern affairs by saying that the US “pivot” to the Pacific Ocean has gradually shifted the Middle East peace process to the periphery of international relations. That, according to Chinese experts, is increasing the risk that the region where a significant part of China’s important political and economic interests are concentrated will become further destabilized. China’s increased role in the Middle East could challenge the United States’ dominant position in the region’s affairs in the context of current Chinese-American relations. Although at this stage America remains a necessary ally and partner for most of the countries in the Middle East, China’s growing presence will limit US opportunities for continuing its policy of absolute leadership. In that regard, China is paying particular attention to the reaction of the United States and is attempting to soften it by stressing how close Beijing and Washington are on a number of issues having to do with settlement of the Arab-Israeli conflict and the need to cooperate in the fight against terrorism and Islamic radicalism. Beijing also points to the possibility of joint action to support stability in the region as a whole. However, speeches by senior members of the Chinese leadership clearly express the idea that the United States cannot remain the sole leader of the Middle East peace process. Beijing proposes acting “in parallel” and not interfering with each other’s interests. Wu Sike said, “The United States will retain its vital say in the Middle East peace process, but the international community will benefit more if countries, such as China, add balance to the sometimes-biased US stance.” Considering that the Middle East has been part of the strategic dialogue between China and the United States since July 2012, the two countries will evidently succeed in finding an acceptable way to coordinate their efforts. In that regard, authoritative statements made in Washington about the advisability of encouraging China’s active participation in the Middle East peace process deserve attention. The key issue for intensifying Chinese diplomatic activities as a mediator and peacekeeper is the trust that Israel and Palestine have expressed towards China. As Chinese experts stress, the trusting relations that have formed enable the parties to conclude that there is no lack of peace initiatives, but rather a clear absence of “positive political influence” capable of moving things in the right direction. Those who took part in the talks believe that China could also make a useful contribution to solving the multi-faceted problems. Statements about that by Netanyahu and Abbas are certainly not formalistic and are based on many years of experience in bilateral cooperation with Beijing, including on issues having to do with the Arab-Israeli peace process. In addition, the Israelis and the Palestinians see significant political and economic potential in cooperating with China and are striving to take advantage of it in the interest of developing their states. Beijing’s intention to rectify the United States’ pro-Israeli bias is unlikely to cause concern in Jerusalem, where cooperation with China is seen as offering far-reaching global opportunities, especially in the developing world. On May 27, 2013, for example, in meeting with Li Congjun, the general director of Xinhua, Israeli President Shimon Peres stressed that China, which has achieved rapid economic success, could set an example for underdeveloped countries all over the world. Interest in China is growing due to China’s achievements in its trade and economic relations with other countries of the region in recent years, as well as Beijing’s improved reputation in the Arab world resulting from its peacekeeping mission in Sudan, its active involvement in UN peacekeeping operations and its mediation in a number of crises. Konstantin Antipov – Senior Research Scientist at the RAS Institute of Far Eastern Studies; exclusively for New Eastern Outlook.